7 - Menace from the North, Eh! 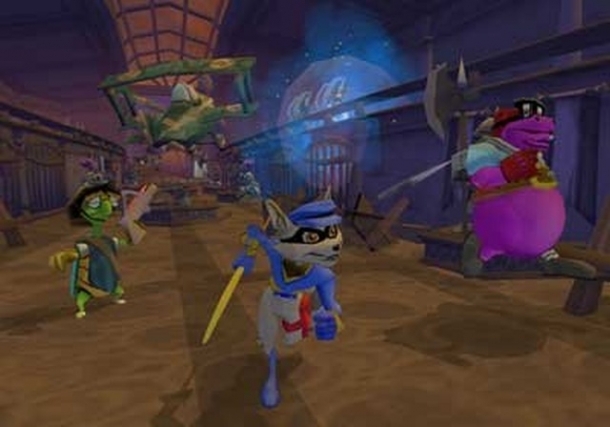 Band of Thieves follows Sly and his friends, as they try to retrieve the Clockwerk parts so they can destroy them. However, once they manage to hunt them down, they find that they have been stolen by a group known as the Klaww Gang. Two years after the defeat of Clockwerk at the end of Thievius and the Raccoonus, Interpol have Clockwerk's parts in a museum in Cairo, Egypt. Sly, Bentley and Murray break into the museum to steal the Clockwerk parts, with their goal being to destroy them so the menace will never return. However, what they find was that the parts were already stolen. 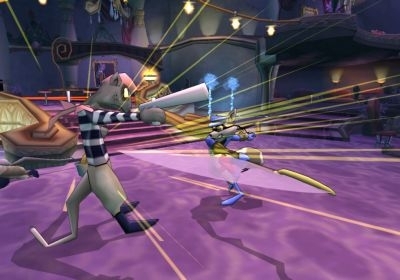 Sly 2: Band of Thieves is a platformer game with stealth elements in it. The game has the basic premise of hub worlds, but there are a lot of changes to the game beyond that. Players will have the opportunity to play as Bentley and Murray as well as Sly.